Discussion in 'The Toddler Years(1-3)' started by Snittens, Mar 1, 2008. DH thinks every kid in the world wants bunk beds, they are cool, and I need to stop being such a stick in the mud. I say, they scare me for some reason, I don't think they are safe, they will fight over who gets the top bunk, and besides, HE won't have to change the sheets on the top, I will. So, either talk me into it, or talk DH out of it! We had them and loved them from when my sister was about 5 and I was about 7 until we turned 8 and 10 (then we took them down and made two beds). Don't know anything about changing the sheets but we switched every Friday night - opposite person got to sleep on top for a week. My sister got her DS a loft bed (kind of like the upper bunk with no lower bunk) when he was 6. He loves it, but every time he gets sick he has to sleep in the guest room - you can't have a little kid who's vomiting (or worse!) trying to climb down the ladder and make it to the bathroom in time! I had them growing up and our two older boys 7 and 5 have them and have used them for 2 years. the older one had the top bunk and occasionally they sleep together up there. I think it gives more floor space in the room. The only concern I have had is my boys toss things like socks on the fan and think it is fun to turn it on. 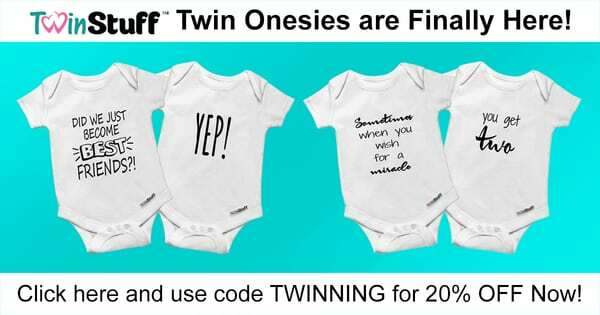 We might get them for the twins eventually. Not sure if this will factor into your decision but I've heard bunk beds are not recommended (maybe by American Academy of Pediatrics??) until at least age 5. At IKEA and I'm sure other places they sell beds frames that can be used separately and or stacked for bunk beds. That would at least give you options. I certainly don't want to start a debate, but my MIL is a school nurse for K-12 and has to follow brain injury cases from the time of the incident until they move out of the district or graduate.... She currently is following 10 cases in her district alone that are varying degrees of trauma from children falling out of the top bunk... with that being said my brother had bunk beds in his room growing up and we loved them. Personally I think the risk although small is still enough to have me keep the beds planted firmly on the ground! Just my opinion though! I would agree w/ PP on age limit. Most beds if you look have a 'for ages..." on them and I believe bunks are 5 or 8 +. My brother had bunks, but never used the top one excecpt to strore 'stuff'.. If you need space- have you thought of a trundle bed or rollaway that could be put away during the day? I babysat for a family that the older boys (age 6-8) had bunk beds. The three year old sister was playing in their room with them and the boys were jumping off the top bunk. She followed along- jumped off and smacked her forehead on the corner of the dresser :icon_eek: ! Not good. Thankfully, her father was a doctor and knew what to do, but it was horrible! Thankfully I wasn't there babysitting at the time, just heard about the incident (and saw what she looked like!). I vowed that I will NEVER have bunkbeds ofr my kids after seeing that...and how lucky she was that it wasn't more serious! *Scary about the top bunk/ fire from pp! That should convinve DH! Anyway, I grew up my whole life with bunkbeds & I really think it depends on what kind you get. Some are safer than others. Also depends on the age of the kid. One of my sisters always fell out of bed for some reason & she got some nasty bumps from being on the top. I've also heard stories of the top bed falling through for some reason & smothering the child on the bottom. I just know how we were with ours......they were like an irrisistable fort/monkey gym/slide and we jumped off them all the time! We even broke the light one time from jumping off & hitting our head on the light fixture. So I think it really depends on your kids & what kind you get. Never heard that about the smoke before, but it makes sense & is scary! No flippin' way would we get bunk beds for first beds! Even my DH (who is about as laxed about safety as a person can be) thinks my friend who bought her 3 YO boy a bunkbed is crazy for doing so. She told the kid he can only sleep on the lower bunk until he's older and he's a pretty compliant kid but he still goes up there to play. When we visited the last time, T&T climbed up there while she was showing me the baby's room and we came back in to find the two of them jumping up and down on the top bunk and her kid telling them "NO" No bunk beds for us. My niece and nephew have bunkbeds but theres are the kind that's made so you can have two single beds or bunk beds. You can take them apart. I highly suggest that if you get bunk beds. We have a bunk bed which was DD1's first bed. She loved taking turns sleeping up or down. We though it would be fun when friends came over, and they came apart to make 2 single beds, so in case we ever had more kids . . .
We got a very sturdy one and it's in great shape 11 years later. As for kids jumping off etc, that boils down to supervision in my opinion. Trin has always had a rule NO JUMPING OFF OR HORSING AROUND ON THE TOP BUNK. Worked for us. It's pretty easy to hear when someone's breaking that rule - listen for the thunderous clunk! Because of space issue we did get the kids bunk beds as their first beds back in November. I would of loved to have gotten 2 single beds but then their room would be all beds. We got the low loft bed from Ikea which is 4 feet high and bought another mattress to put on the floor under it. At first my dd wanted to also sleep up on top but now she loves her bottom area because we made it her own special little space and she loves it. We have a very strict rule of no jumping on the top bunk that we enforced from day 1 so it's not even an issue. They do both climb to the top bunk to play but no one has attempted to jump off or have fallen off. My ds who sleeps on top will climbed down by swinging his legs over the edge and let himself down but he's 42 inches and ends up only having a few inches of drop. So far it's been going well and they do love having the bunk. My girls want them, they ask nearly every day, I still think they're kinda young (they're 4). I said to Jessica it won't be fair though Jessica who gets to sleep on the top. She said Jorja sleeps on top 1st night then I sleep there 2nd night, then 3rd night jorja and she went right thru for 7 nights, I thought it woz cute that she let her sister go in the top bunk 1st. Anyhow I'm still debating, but I really wouldn't fancy climbing that ladder to make the bed every day. I had them as a kid. When my baby sister was born my other, younger sister was moved from the nursery into my room, and we had bunk beds. I was barely 7. On the first night I fell out of bed and ended up in the E.R. for a round of stitches. That being said, I remember having a LOT of fun with those bunk beds. It was a puppet show theater, a giant jungle gym. FWIW, we are planning to go the bunk bed route eventually. Mostly for the sake of floor space. However, I cannot imagine putting my kids in bunk beds before kindergarten (even that age seems a bit young to me). DH and I are having a similar argument b/c we are about to purchase a travel trailer with a bunk house....perfect for our growing family, but I'll be damned if I'll put my babies in that top bunk now. We found a set up with a full double bed on bottom (perfect for them to share for now) and a single on top (great for later adventures) as a compromise. My DH was also insisting that we get bunk beds, and I kept insisting that they are unsafe for their age group. It wasn't until he went online and found several articles that said it is dangerous for children under 6. I won. We got them twin beds. Sure, there is a little less room in their bedroom, but I'd rather have just a little floor space that have no children to play in a big area. KWIM? OK, thanks all. I'm armed with enough now to make a good argument against it. Shopping around, and found these beds which are pretty cool. Wish they weren't so expensive though!